A.P.C. 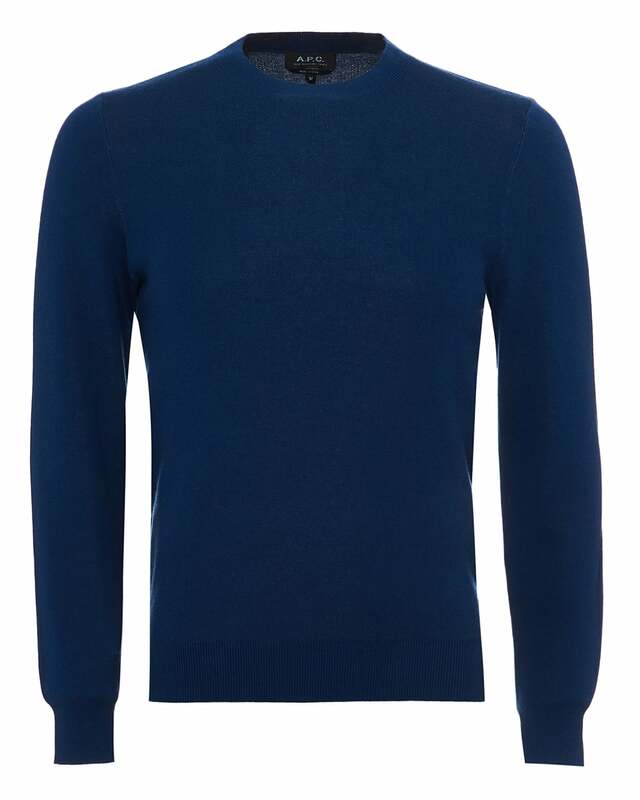 introduce the Cia jumper as part of their spring summer 2018 collection, arriving in a rich blue cotton-cashmere knit, with a contrasting white intarsia logo motif across the back. You are guaranteed both practicality and style with this piece in your wardrobe.